As an ambitious pro drummer, you know that anything less than the ultimate sound and feel will hold you back. 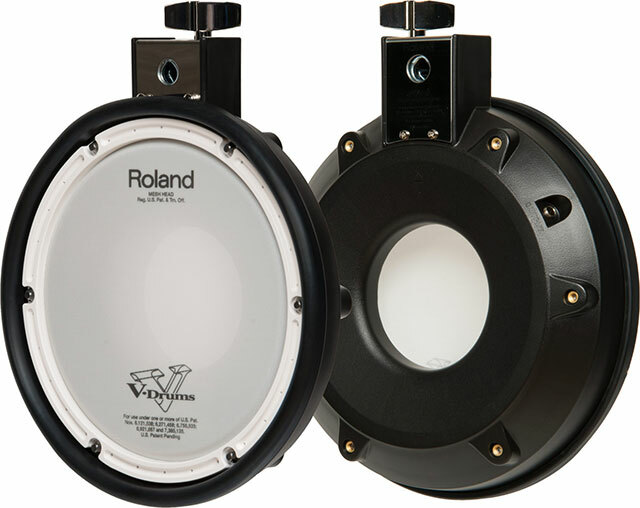 Introducing the new Roland TD-50KV, the flagship release in our acclaimed V-Drums range. Created for top-flight live performance, intense practice sessions, and eclectic studio work. Built on the foundation of the new TD-50 Module with Prismatic Sound Modeling, this Electronic Drum Set delivers Roland’s most impressive and wide-ranging sounds yet. The advanced processor is complemented by newly developed snare and ride pads. Pads which feature multi-element sensor systems and high-speed digital communication with the TD-50 Module. 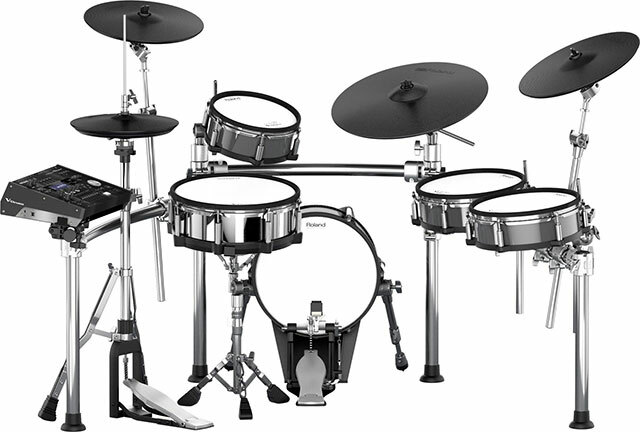 The Electronic Drum Set also includes top-line tom, crash, and hi-hat pads, and the module provides deep editing features and flexible connectivity to put you in charge. Offering supreme playability and unmatched expression, the Roland TD-50KV is the new pro standard in Electronic Drums. TD-50 module with Prismatic Sound Modeling and all-new onboard sounds. 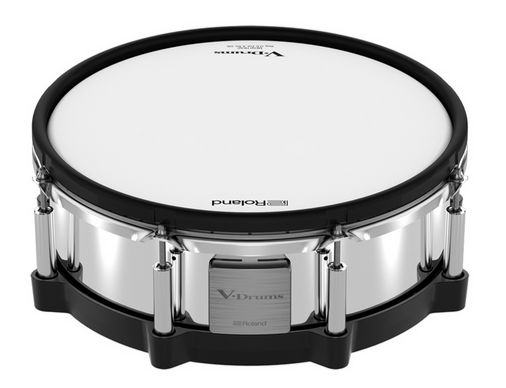 Newly developed 14-inch PD-140DS Snare Pad with a high-resolution multi-sensor system for unparalleled dynamics and accurate positional detection. New 18-inch CY-18DR Ride V-Cymbal provides accurate positional sensing and improved dynamics using an innovative multi-sensor system. Additional Cymbal Pads include VH-13 V-Hi-Hat, CY-14C Crash, and CY-15R Crash/Ride V-Cymbal. One PD-108-BC Rack Tom Pad and two PD-128-BC Floor Tom Pads. Play your own WAV samples via an SD card. USB 10-channel Audio Out for multi-track recording through a single USB cable. Stereo XLR Master Output and eight TRS Direct Outs provide balanced connections to a PA.
Metronome with Quiet Count plus Audio Recording/Playback Functions for practice. 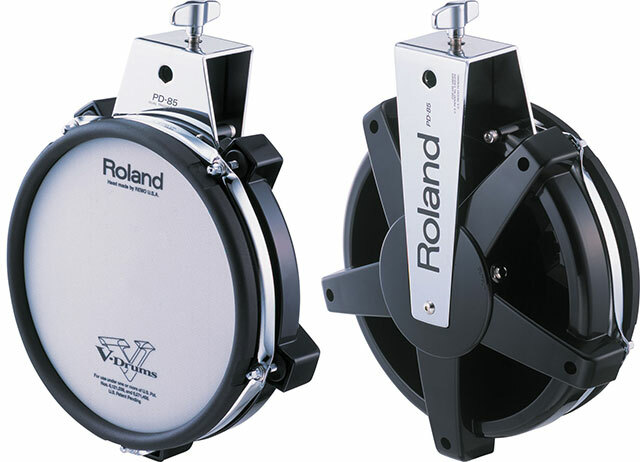 Great drummers demand great performance, and at the heart of the Roland TD-50KV, you’ll find the TD-50. A powerful new Drum Sound Module whose original Prismatic Sound Modeling technology means that every element of your playing style is caught and conveyed in thrilling detail. 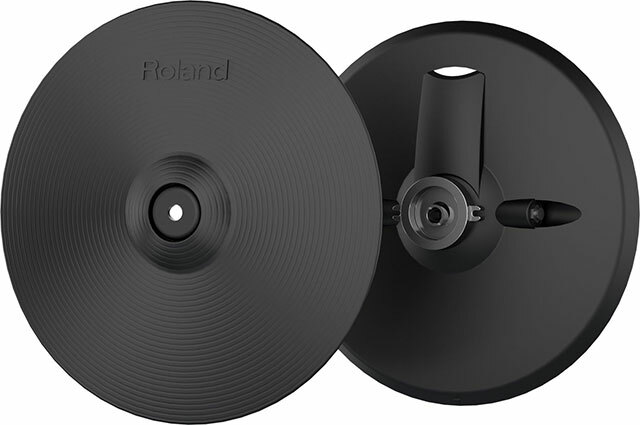 Working alongside the Roland TD-50KV’s newly developed Snare and Ride Cymbal Pads which feature our most advanced trigger-sensing technology yet. The TD-50’s high-resolution processing gives you the most lifelike, resonant, and expressive sounds you’ll hear from an Electronic Drum Set. A variety of musical scenarios are no problem with the TD-50, which offers a choice of onboard kits to suit every session. This Advanced Drum Module also supports deep sound customization. Including basic adjustment of heads and shells, layering of internal and user samples, and adjustment of overhead mics and ambience. For tailored performance, a compressor and three-band EQ can be controlled for each pad individually. While three independent multi-effect sections let you treat specific drums with 30 effect types such as delay, flanger, saturator, and many others. The two-band multi-compressor and four-band equalizer on the output let you change the overall dynamics and tonal balance, depending on whether you’re in the studio or on stage. With the new Snapshot feature, you can quickly assess and compare any edits to your sounds before making permanent changes. Working alongside the TD-50 Drum Sound Module is the PD-140DS Snare Pad, which brings a new level of expression to your snare work. A brand-new, three-layer mesh head is fitted to a standard size 14-inch shell, providing natural rebound and feel that’s instantly familiar to play. And now, thanks to Roland’s newly developed multi-element sensor system. Your strokes across every area of the pad are more closely detected, and your playing dynamics captured in minute detail. In addition, traditional cross stick technique is automatically detected as the pad senses your hand and adjusts accordingly. With the unmatched response of the PD-140DS, every snare nuance is natural, detailed, and bursting with character. Cymbal choice is a serious business, and the new Electronic Drum Set TD-50KV includes some of the best. It features larger crash cymbals (CY-14C and CY-15R) than its TD-50K sister kit. Expressive players will also benefit from the new CY-18DR V-Cymbal Ride. With its regular 18-inch size and familiar motion during performance, this new digital cymbal fits seamlessly into your kit. Meanwhile, the high-resolution, multi-sensor system within the cymbal pad continuously detects every stroke from edge to bell. Working alongside the TD-50 module for dynamics and response that have never before been heard from a cymbal pad. Put the CY-18DR through its paces with techniques from cymbal legato to soft bell strokes and hear the detail for yourself. You can even mute the bow with a finger touch! The VH-13 hi-hat offers a two-piece structure with top and bottom cymbal pads for a natural playing feel. It also features advanced motion sensor and triggering technologies for authentic response, with smooth open-to-closed control. Just like an acoustic hi-hat, you can alter the closed tone by pressing harder on the pedal, and play foot splashes as well. As a creative drummer, you’ll love the Roland TD-50KV’s open-ended connectivity, which lets inspiration flow in both directions. 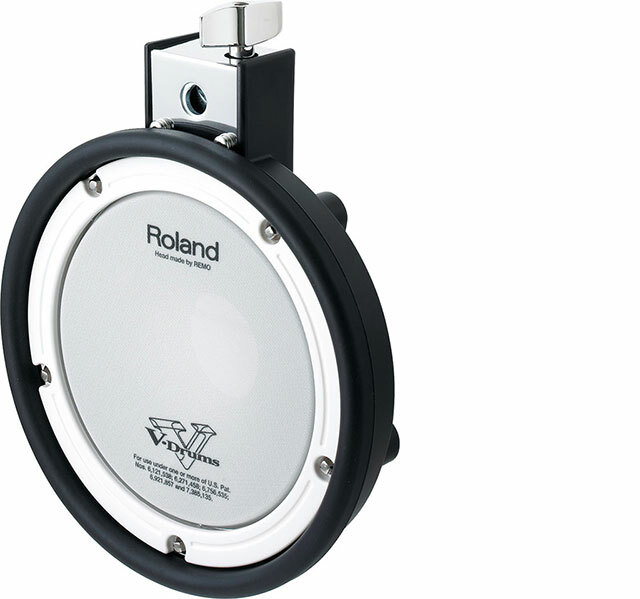 Using the module’s SD card slot, it’s easy to trigger your own WAV files using any of the Roland TD-50KV’s drum pads. And you can loop or layer them alongside the internal sounds while controlling volume and tone via the TD-50’s front panel. When you write a great groove, simply connect the TD-50 module to a computer via USB for multi-track recording direct to your favorite DAW. Up to 10 channels can be recorded separately, then easily edited for tone color and more. There’s even a choice of audio sampling formats: 48 kHz, 96 kHz, and the standard 44.1kHz. 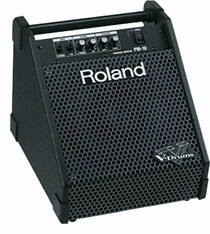 If you play live every night, the Roland TD-50KV will help avoid the time and effort of a lengthy setup. The TD-50 is the first V-Drums module to feature an XLR stereo master out and eight TRS direct outs, allowing for a balanced connection to a PA system. Assigning a pad to any of the individual outputs is simple, while convenient master (headphones) volume controls and group faders balance the output levels instantly. You can also assign the volume to control headphones only, perfect for adjusting the monitor level without affecting the PA signal. The Roland TD-50KV is the choice for serious drummers, but there’s always room for improvement. 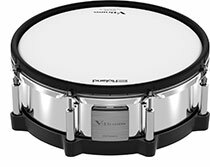 This new Electronic Drum Set doesn’t just let your drum technique shine; it actively improves it too, offering onboard features that help you get the best from practice sessions. Whether you lock down your timing with the Quiet Count function or play along to backing tracks via the SD card slot. It’s easy to get inspired, even when you’re practicing alone. 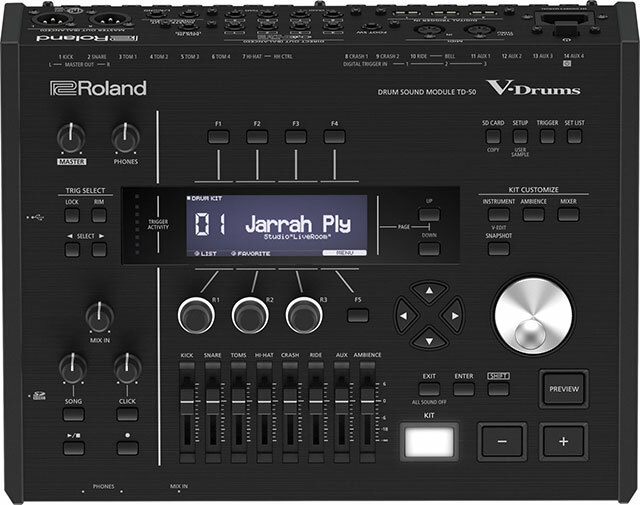 Roland TD-50 Drum Sound Module, An advanced prismatic sound modeling with own custom samples. Roland TD-50KV V-Drums Kit. 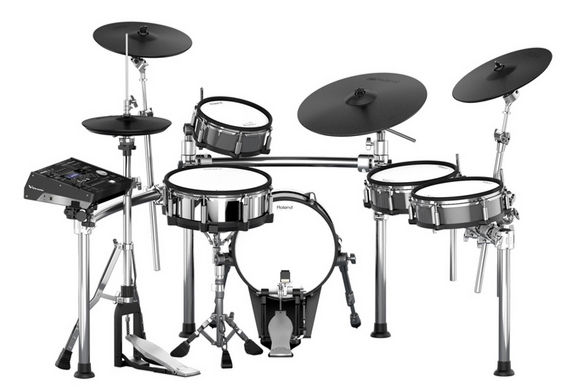 All-new flagship kit with enhanced playability, high-resolution sound and advanced features. 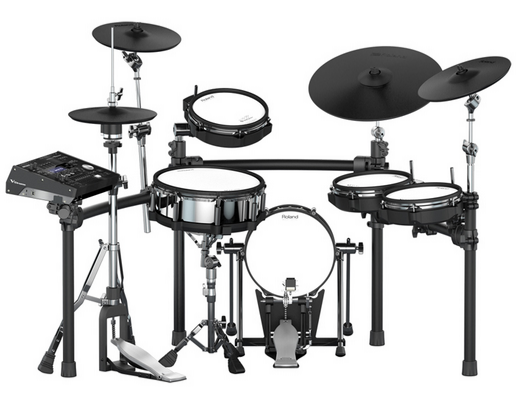 Roland TD-50K V-Drums Kit, A scale-down of the flagship using the new MDS-50K black drum stand. 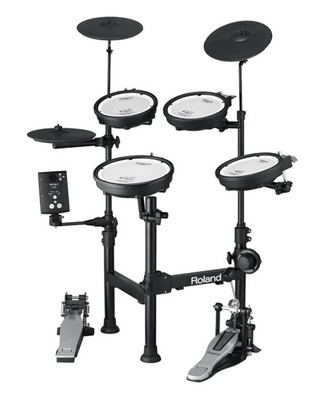 Roland TD-1KPX Portable V-Drums Kit. Authentic playability, Mesh Head pads and maximum portability. 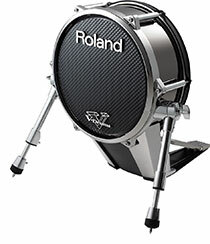 Roland PD-140DS V-Pad Snare. 14-inch, multi-element sensor system and a three-layer mesh head. 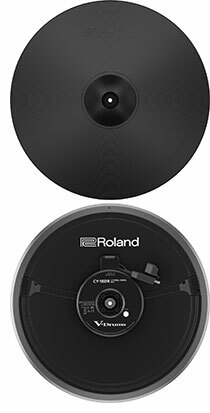 Roland CY-18DR V-Cymbal, A Comfortable 18-inch size with familiar motion, plus a new high-resolution, multi-sensor system. Roland KD-A22 Kick Drum Convertor. 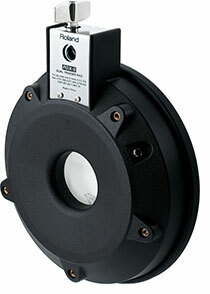 Convert any favorite 22-inch acoustic kick to be a trigger for the TD-50 module. Roland MDS-50KV Drum Stand. 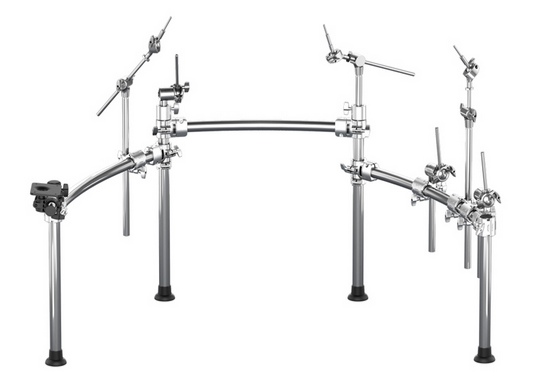 Premium, Compact rack stand designed for TD-50KV V-Drums. Roland MDS-50K Drum Stand. 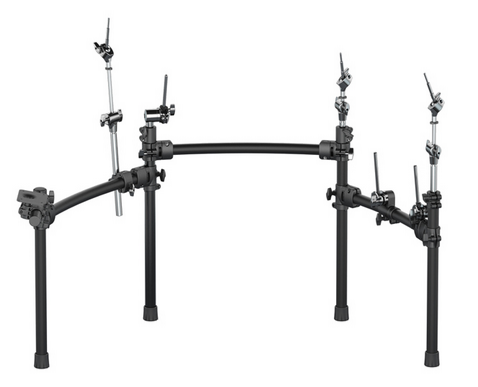 A Compact, flexible, and stable rack stand for TD-50K V-Drums. 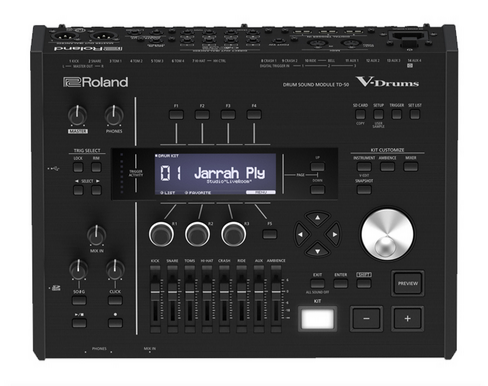 The Roland Drum Pad PDX-6 is the smallest of the Roland V-Pads. Originally designed as a Tom Pad for the TD-4KX, it provides dual triggering from its 6.5″ mesh head and 8″ rim. 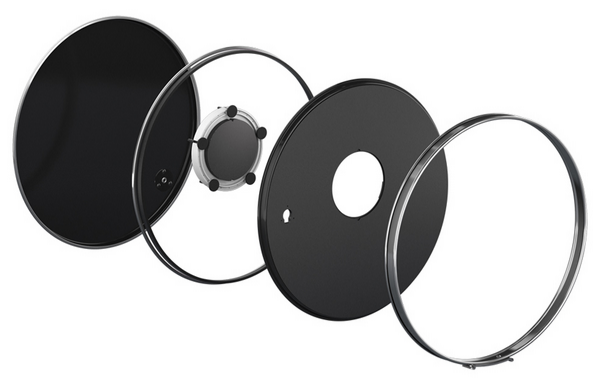 PDX-6 can be mounted using the MDH Pad Mount series and it’s compatible with all MDS Drum Stands. The Roland Drum Pad PDX-6 Pad Comes With: Connection Cable, Drum Key and Owner’s Manual. Roland’s Mesh Heas V-Pad Roland Drum Pad PDX-8 offers an expanded Rim for more comfortable and quiet rim-shots, as well as separate head and rim triggering for authentic performance. For the PDX-8 function correctly, the trigger type and trigger parameters in your percussion sound module (TD-11, TD-25, etc.) must be adjusted. 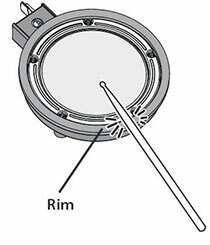 If you find the following kinds of problems occurring, adjust the “Rim Sens” of the percussion sound module. If you hear a rim sound when you strike the head, decrease the “Rim Sens” value. If you cannot get a rim sound even when you strike the rim hard, increase the “Rim Sens” value. Use the included stereo cable to make connections with the drum sound module. Connect the L-shaped plug of the included cable to the PDX-8. If you use a monaural cable, you won’t be able to employ rim shot and cross stick playing techniques. NOTE: To prevent malfunction and/or damage to speakers or other devices, always turn down the volume, and turn off the power on all devices before making any connections. 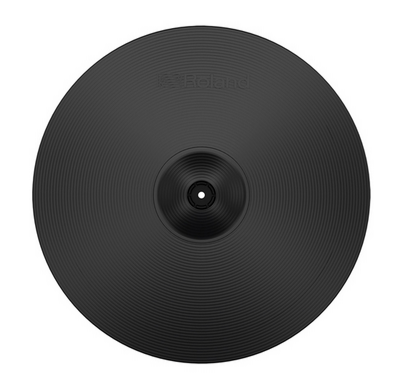 Roland Drum Pad PDX-8’s is a light weight drum pad. Its compact design allows for comfortable performance. Quiet response, even when playing rim shots. Accessories Included: Connection Cable, Drum Key and Owner’s Manual. Width: 266 mm (10-1/2 inches). Depth: 326 mm (12-7/8 inches). Height: 62 mm (2-1/2 inches). Weight: 1.3 kg (2 lbs 14oz.). The New Roland Drum Pad PD-85 is 8″ Dual-Zone V-Pad featuring Roland’s latest dual-triggering technology. 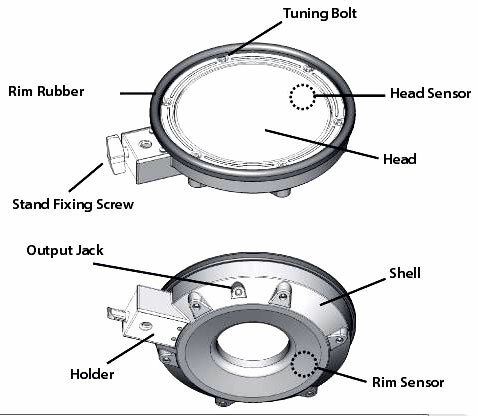 Resulting in more consistent and accurate sensing between the head and rim. Built tank-tough and ready to take a pounding, these new-generation pads are available in both black and white finishes with chrome bracket. When PD-85 is used as toms with TD-30, TD-25 and TD-15 sound modules, the Roland Drum Pad PD-85 let you play rimshots, and the sound will change depending on the strength of your stroke. The box includes: Roland PD-85 Drum Pad, Owner’s manual, Connection Cable and a Drum Key. 8 Inch Dual Zone Mesh Head (MH-8) Drum Pad. Compatible with all TD-series sound modules. Available in black or white finish. Width: 245 mm (9-11/16 inches). Depth: 310 mm (12-1/4 inches). Height: 95 mm (3-3/4 inches). Weight: 1.7 kg (3 lbs. 12 oz. ).